Like young people everywhere, Slovenians under the age of 30 prefer God’s Word in the language they speak every day — not the archaic, outdated language found in most Slovenian Bibles. That’s why Slovenian youth and young adults are so excited to receive Life with Jesus, a modern language translation of the New Testament that makes God’s Word more easily understood. American Bible Society’s financial partners have supported the publishing and distribution of 500 copies of this popular version of the Scriptures. 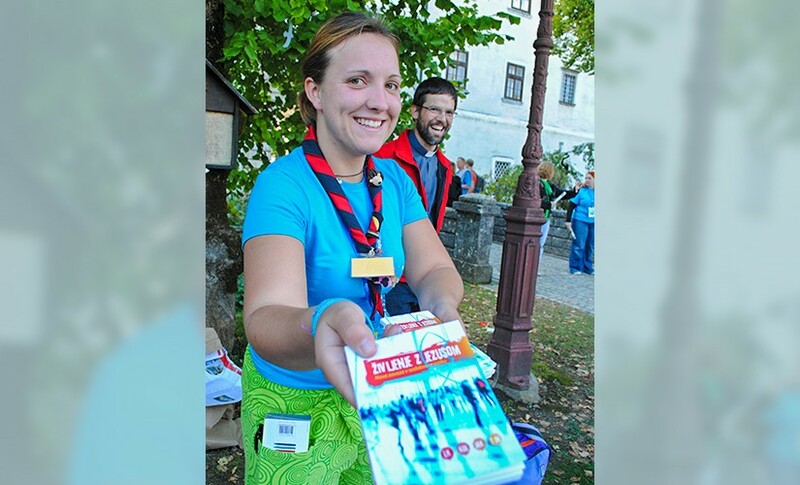 This translation has had a powerful effect on young people in Slovenia, inspiring them to grow in their personal relationship with the Lord and even to help other people in their lives interact with God’s Word. Twenty-five-year-old Veronica puts her experience this way: “I really like the Life with Jesus because the language is more comprehensible and consequently my motivation is higher. It is easier to read something where there are no archaic expressions and phrases that make reading difficult. It's easier for me to be engaged with the Bible." Likewise, for 18-year-old Klara, the modern language kept her engaged with Life with Jesus for longer periods of time. "Usually people are trying so hard to understand the Bible, understanding all the specific words and, in many cases, we just give up. That doesn't happen with the Life with Jesus translation. It is great,” she said. Even younger teens are noticing the benefits of this new Bible translation. "I like Life with Jesus because I can always take it with me," says 14-year-old Blaž. "It is simple and understandable, just what we need," adds his friend, Klemen. We are so grateful to our financial partners for their support of this translation that is opening up God’s Word to the next generation of Slovenians. “The Bible has been very important to me,” says Alexander.